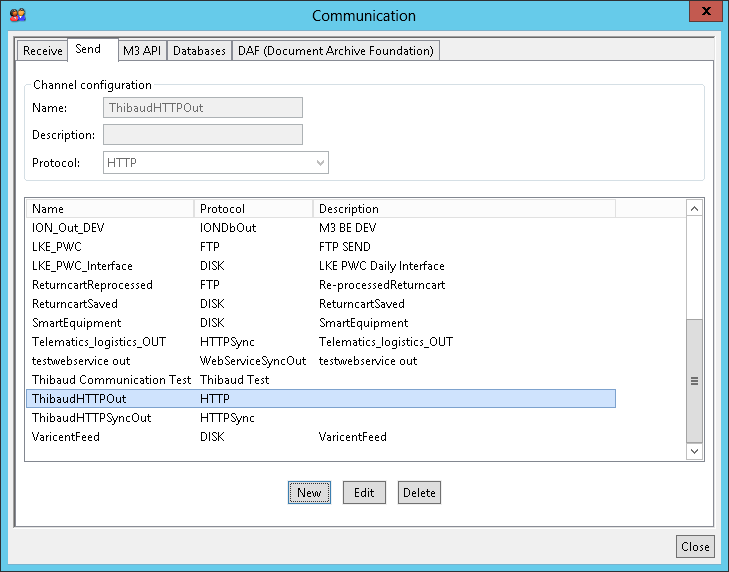 Here is the fourth part of the guide on how to setup HTTP channels in Infor Enterprise Collaborator (MEC), this time with how to setup and use the HTTPOut channel such that MEC acts as a client making HTTP requests to servers; that is the opposite of the HTTPIn and HTTPSyncIn and HTTPSyncOut channels where MEC acts as a server. 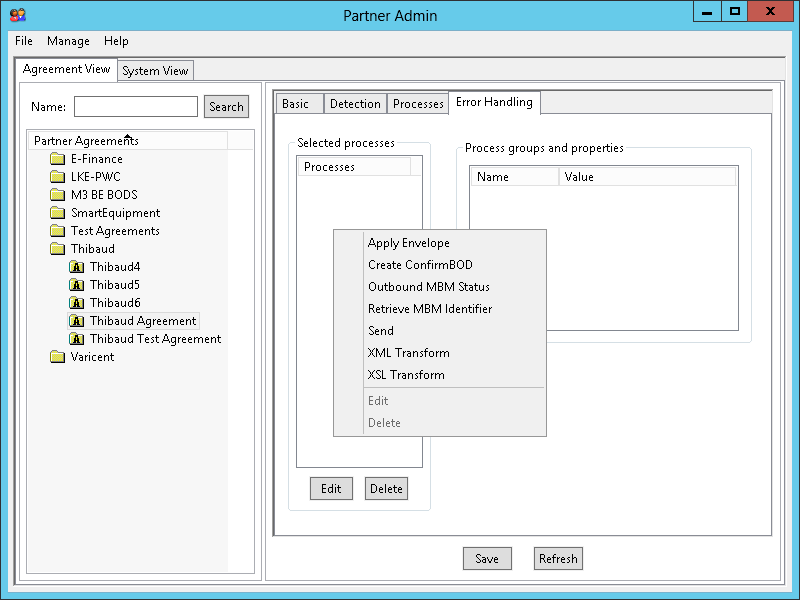 The M3 Enterprise Collaborator Partner Admin Tool User Guide does not mention anything about the HTTPOut channel (no matches found in search), but if we read the pages attentively there is a chapter Setting Up Send Channels with a section on HTTP. After some studying of the HTTPOut Java code and testing in PartnerAdmin I confirm that section is effectively referring to the HTTPOut channel. Unfortunately it is just one sentence with no substantial information, and it is incorrect in that “the content type returned” should be “the content type of the request” and in that there is no such thing as “content type web browser”. By reading the partially recovered Java source code of class HTTPOut in package com.intentia.ec.communication we determine it is indeed an HTTP client (not a server, and not a response like the word out in HTTPSyncOut suggests). 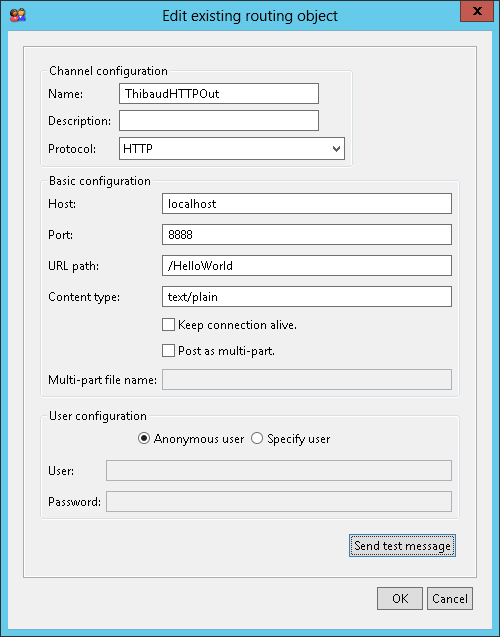 It uses a java.net.HttpURLConnection to make the request to the server defined in PartnerAdmin with host, port number and path. It supports connection keep alive, Basic authentication, no-cache directives, and multi-part content types. Unfortunately, there are some drawbacks. 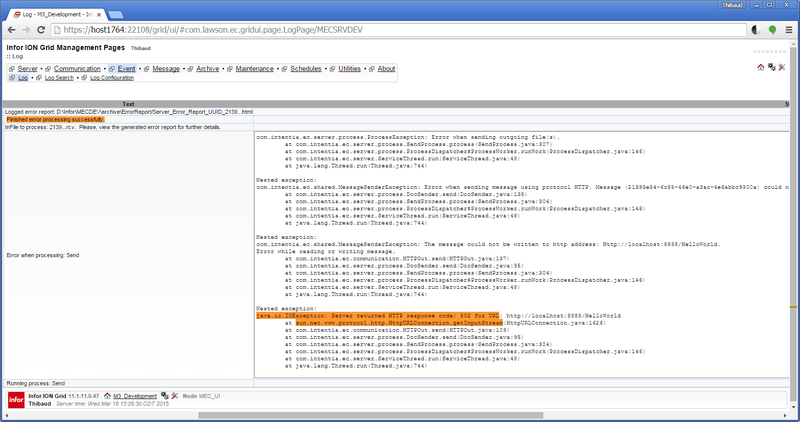 The scheme is hard-coded to “http” so there is no HTTP-Secure possible; whereas it is possible with javax.net.ssl.HttpsURLConnection; although there is an HTTPSOut channel provided in the sample chapters of the documentation. The user and password transit in clear text (trivial Base64-decode). It is a departure from the benefits of Java NIO; see part 1 of the guide. The response is ignored (at best it is logged in the debug files) so I do not think there is a possibility for MEC to process the response. And it does not have support for a proxy. 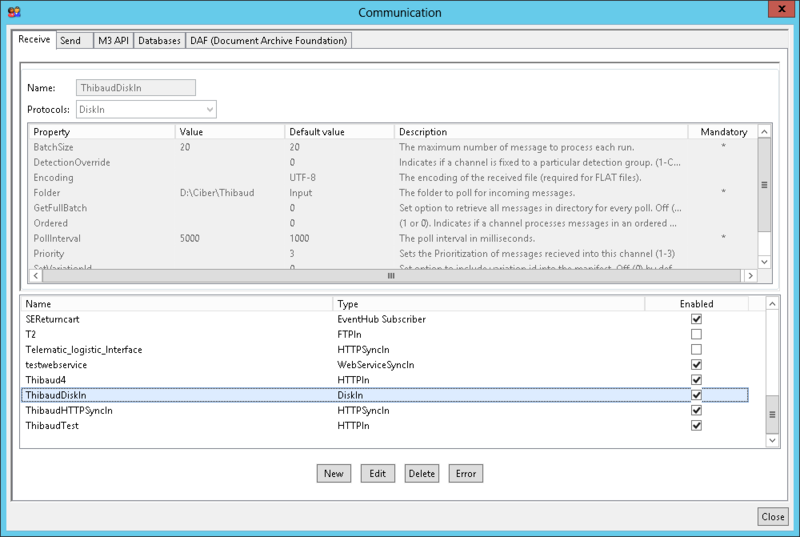 The HTTPOut channel is a Send process in a partner agreement, in other words it is a message sender, or an outgoing channel. 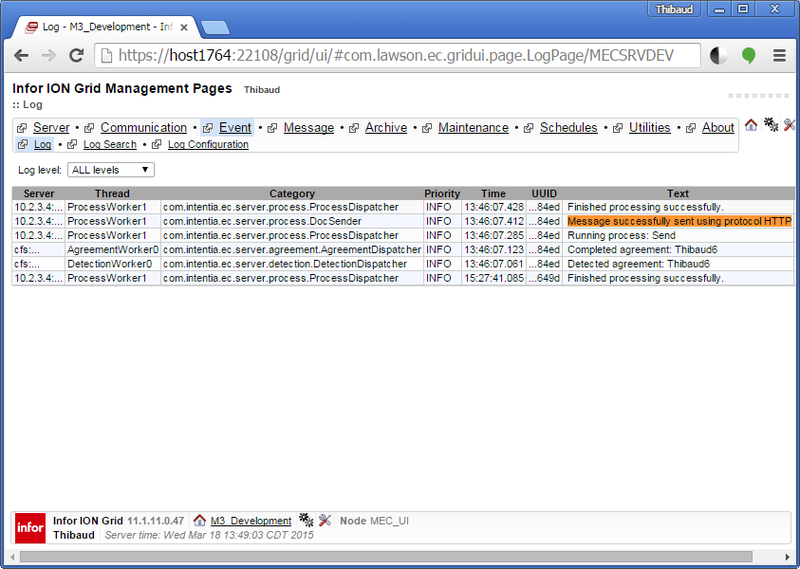 More precisely it is an HTTP client making a request to a server. 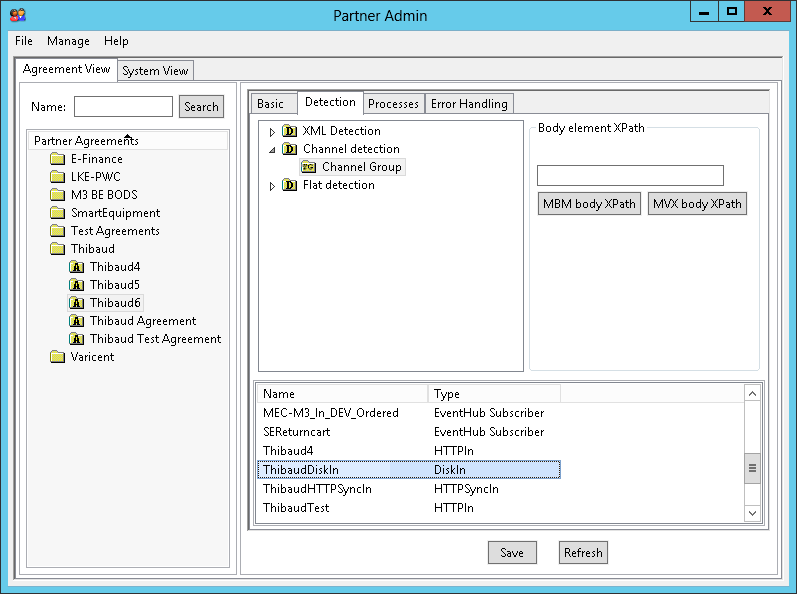 For the HTTPOut channel to run, the partner agreement must be triggered by an incoming channel such as DiskIn, Event Hub subscriptions, HTTPIn, and others. Again, the word pair in/out does not reflect the word pairs client/server and request/response, and that can cause confusion. Note 1: The Content type is optional as HTTPOut will attempt to guess it based on the contents of the file using the Java method URLConnection.guessContentTypeFromName. Note 2: The checkbox Keep connection alive is to keep the TCP connection persistent and not close it, probably if there are multiple Send processes to eliminate the three-way handshake during connection establishment and reduce latency, although that is only useful for millisecond requirements, or to reduce network congestion (fewer TCP connections) although that is only useful for requirements with tens of thousands of concurrent connections; for the rest of us we can leave unchecked; I have not tested this. Note 3: The checkbox Post as multi-part is for sending multiple messages into one request; I have not tested this. 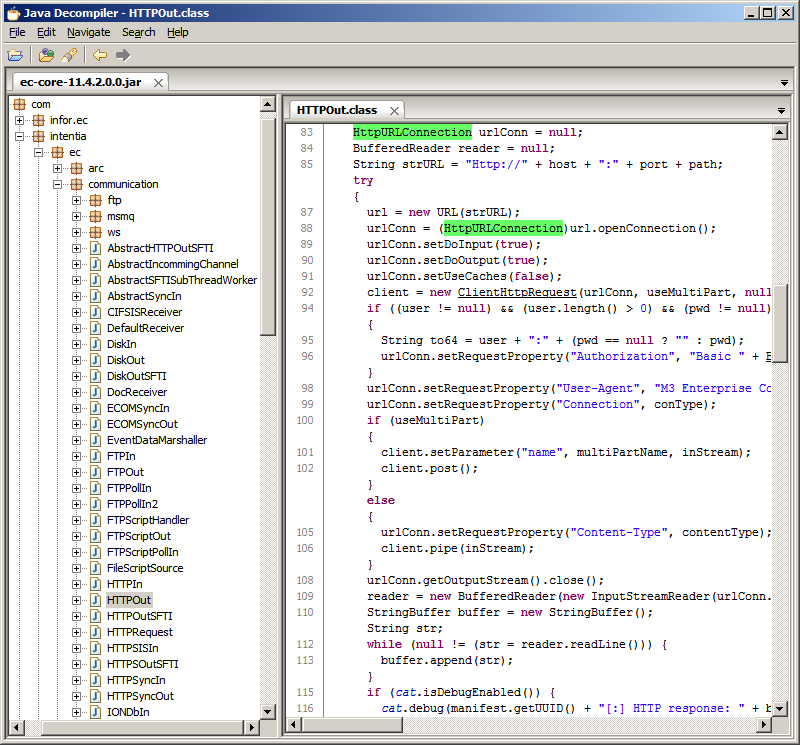 By reading the Java code of the HTTPOut class, I can see the boundary is hard-coded to —————————, i.e. simply 27 repetitions of the dash character, which means if your file contains the same string (plausible) there could be unexpected results, like the request will fail or the message will be truncated. Note 4: The user/password is for HTTP basic authentication (Base64 encoded), but because this is for HTTP only (not HTTPS) the user/password transit in clear text (trivial Base64 decoding), i.e. it can be viewed by eavesdroppers, and it has no encryption and no message verification, i.e. it can be tampered by man-in-the-middle, so do not use this over unsecure networks. Note 1: I suppose the encoding is for the binary encoding of the message in the HTTP response body; I have not tested this. Note 2: I suppose the Zip-output checkbox is for compressing the message in the HTTP response body; I have not tested this. Note 3: The Zip entry name is probably referring to java.util.zip.ZipEntry to compress the message and give it a file name; I did not know HTTP compression needed a file name. Note 4: I do not know what Routing Run On Host means. The HTTPOut channel is now ready to use. 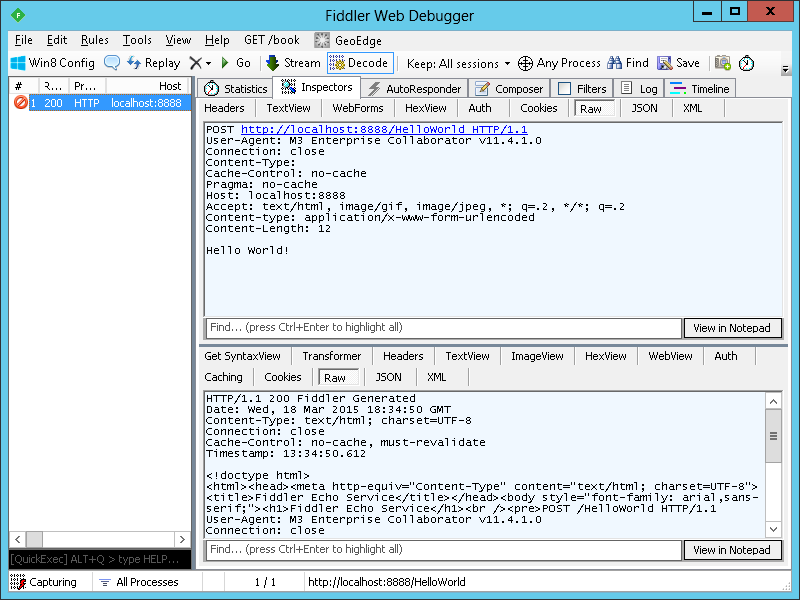 Prepare a sample trigger for the partner agreement; in my case I have a simple message.txt file with content Hello, World! 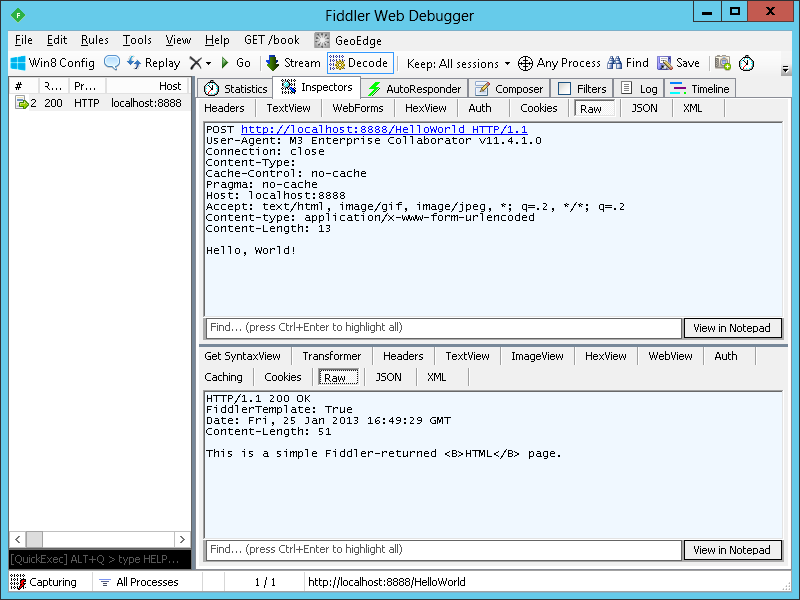 that I drop in the folder to trigger my DiskIn channel detection. 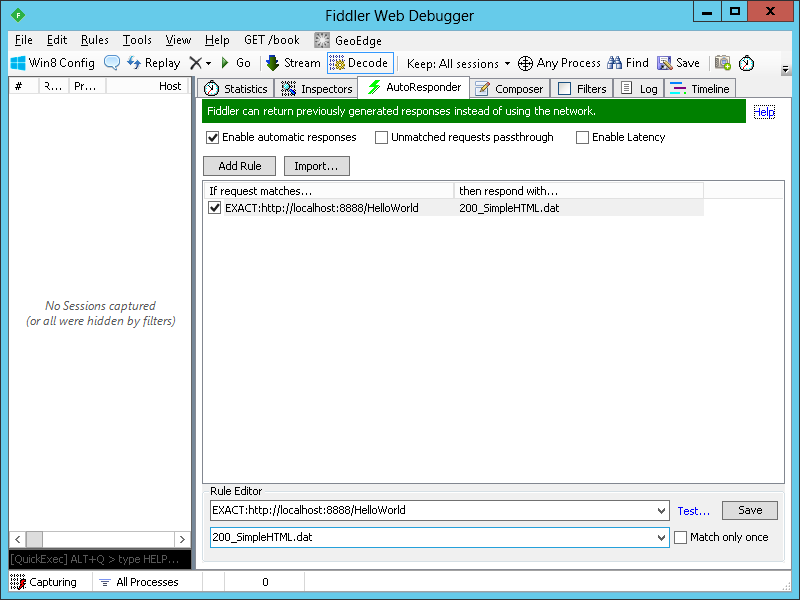 Trigger the partner agreement to execute the Send Process; in my case I drop the message.txt file in the folder. 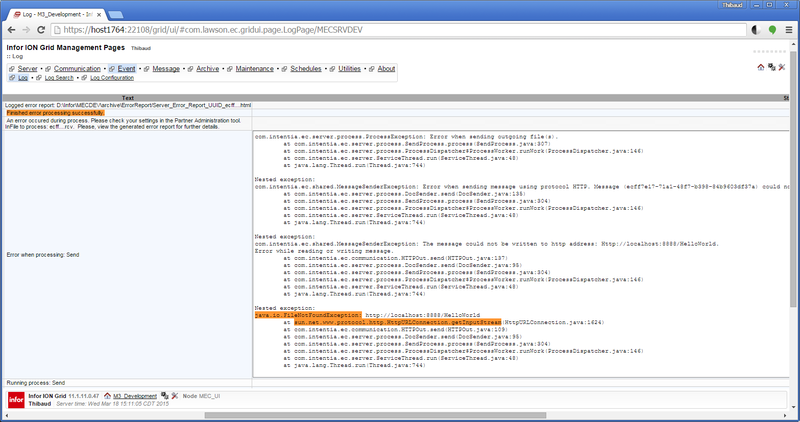 Note: I see no trace of the HTTP response in MEC; as suspected, MEC seems to ignore the response body. You can now use your third party applications to receive HTTP requests from MEC. 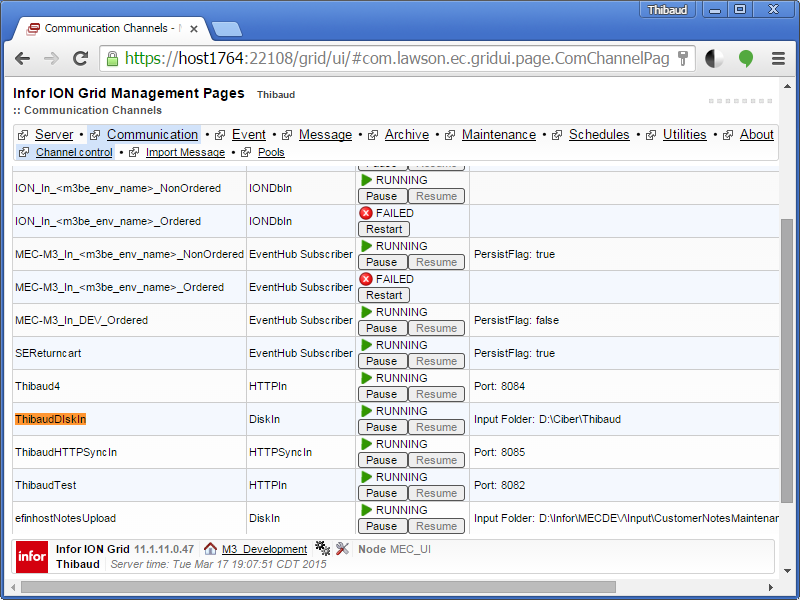 That was how to setup the HTTPOut channel for MEC to act as a client and make requests to servers. 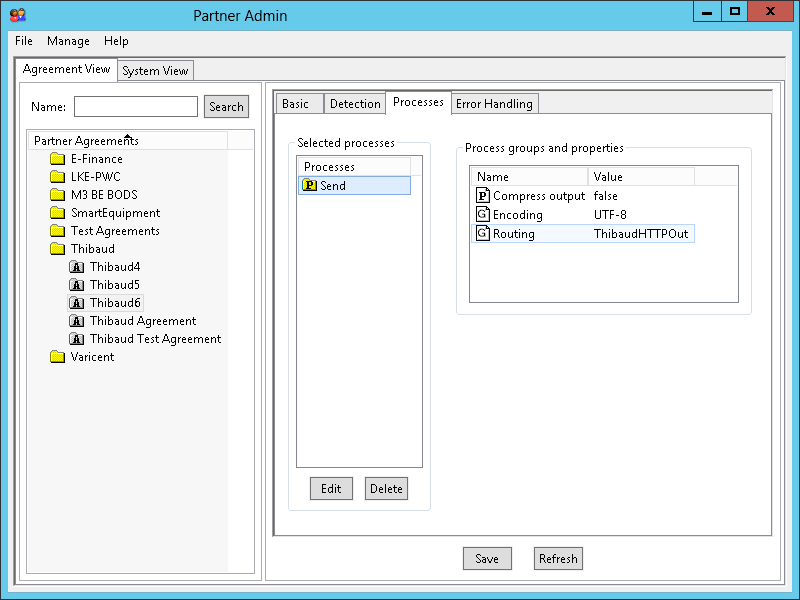 For that, we setup the HTTPOut channel in PartnerAdmin, we setup the partner agreement with the Send process, and we tested with Fiddler. The HTTPOut channel is almost undocumented, not a state-of-the art HTTP client, and has drawbacks, but it suffices for most simple cases. 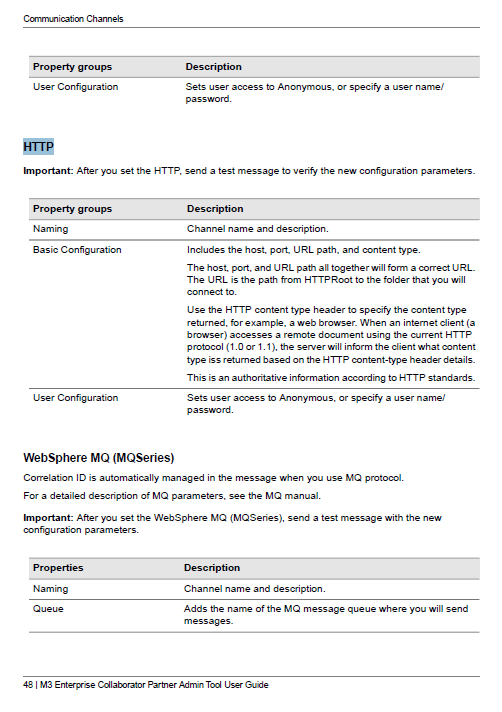 In the next part of this guide I will illustrate how to setup a secure incoming HTTP channel for MEC, i.e. HTTP over SSL/TLS for MEC. 2015-03-31: I removed my incorrect note about the boundary as in fact there is a random string appended to the boundary. 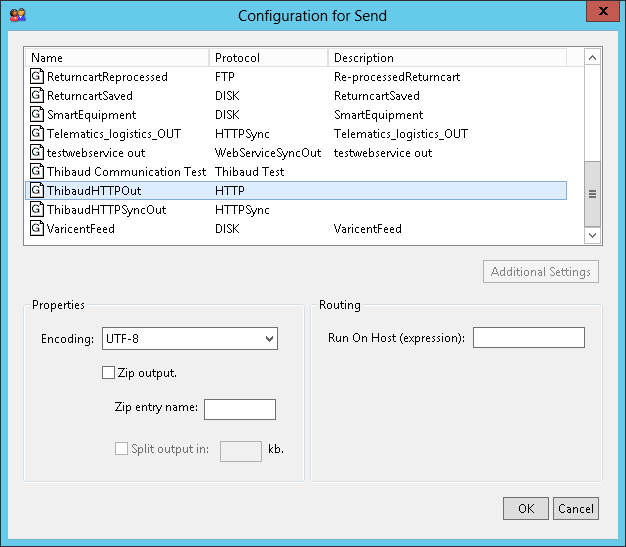 2015-03-19: I updated the documentation section about the content type, proxy, and HTTPSOut, and updated the quirk section about the content type. UPDATE: MEC 11.4.3 now includes proxy settings.